Purchase mail server licensing or upgrade an existing license. Please refer to our wiki page for more information about the ordering process. Once your needs are determined, placing an order takes just a few moments. Provisioning of the software key and configuring the support services typically takes 1-2 business days to complete. You will be contacted via email with license keys once the order finalizes. Yes. We accept checks, credit cards, or cash. The license provisioning process begins when payment is received. Can I mix and match license types? Absolutely. Not everyone in the organization needs all the features offered in the Professional Edition. You can mix and match license class of service. What is the difference between a Perpetual license and a Subscription for licensing and support? Perpetual licenses are a one-time purchase of the mail server software. The Subscription model provides a limited time use (one or two year terms) of the collaboration software licenses for your server which includes a support agreement as well as rights to any server software updates released during the subscription period. What advantage is there to buying a support contract for my Perpetual licenses? 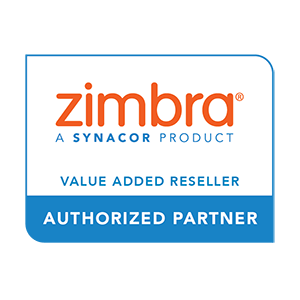 Zimbra requires that all customers buying Perpetual licensing purchase a support contract for a minimum of one year. You may purchase at Standard or Premiere support levels. The support contract also entitles you to software updates to your Perpetual licensing for the duration of the support agreement. Is there any way to save money on the support services with Perpetual licensing? Yes, purchase your first year of support at the Premiere level then subsequent years at the Standard support level. Is special pricing available for non-profit, educational, or government entities? 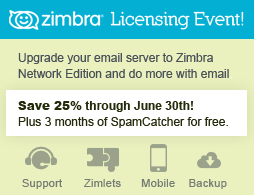 Yes, Zimbra licensing offers custom discounts specifically for these entities. XMission's Zimbra service is not HIPAA compliant. However, XMission's data center is HIPAA compliant and we can colocate HIPAA compliant mail servers in our fully certified facility. Zimbra licensing with XMission allows you to adjust easily as your business expands. Upgrade existing license keys to increase collaboration functionality or add more seats to your deployment quickly. Whether your business requires one account or 25,000 accounts, XMission can help every step of the way. 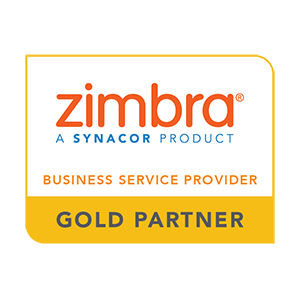 Utilize the powerful Collaboration platform provided by Zimbra licensing. This enterprise platform allows you to securely deliver the latest email, calendar, and collaboration capabilities right to your team on any device: desktop, laptop, or mobile. On-site or in a data center, XMission can help. All set for Zimbra licensing? Order now!